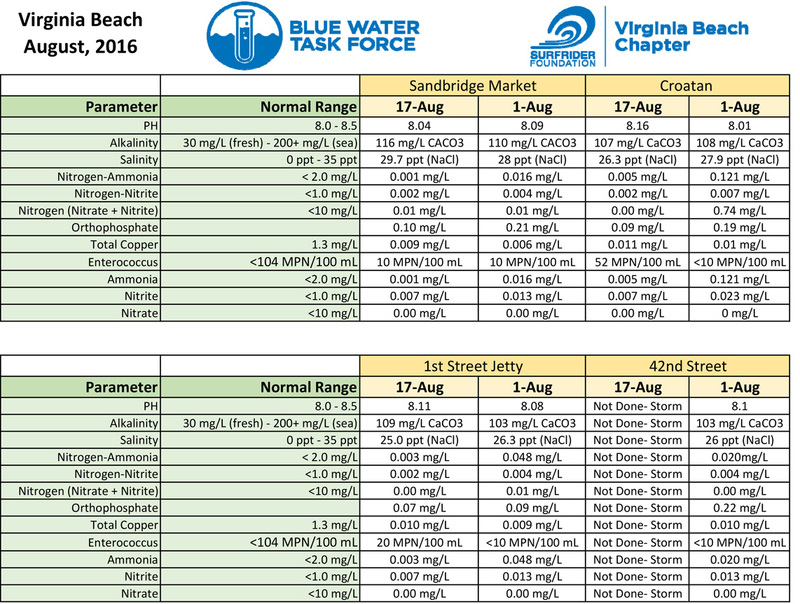 Blue Water Task Force (BWTF) is our volunteer-run, water testing, education and advocacy program. We use this program to alert citizens and officials in our communities about water quality problems and to work toward solutions. BWTF has demonstrated success by identifying problems with beach and coastal water pollution, raising public awareness and working with local stakeholders to implement solutions. 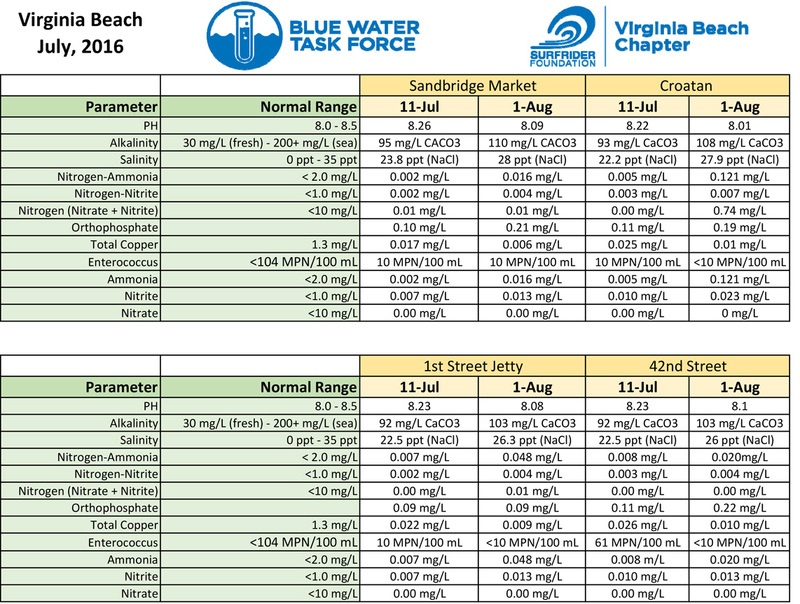 The City of Virginia Beach conducts water quality tests from May to September, but not during the winter, and we want to ensure that our waters are safe to swim and surf in year-round. 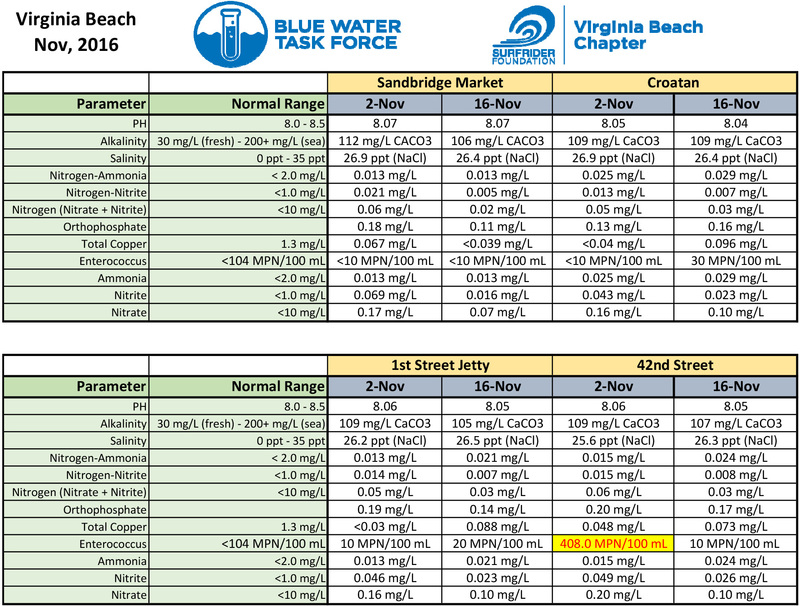 The Virginia Beach chapter initiated our BWTF program in April 2014, and we are currently measuring bacteria levels at four beaches (42nd Street, 1st Street, Croatan, and Sandbridge). 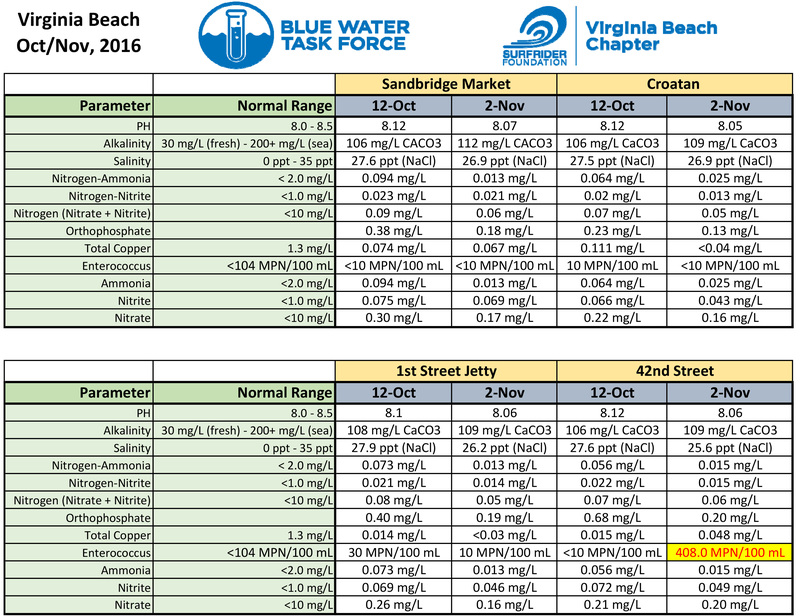 We will post the results of each test to alert local citizens about water quality problems. Water samples are being tested at the Virginia Aquarium’s water quality lab for Enterococcus and many other parameters. 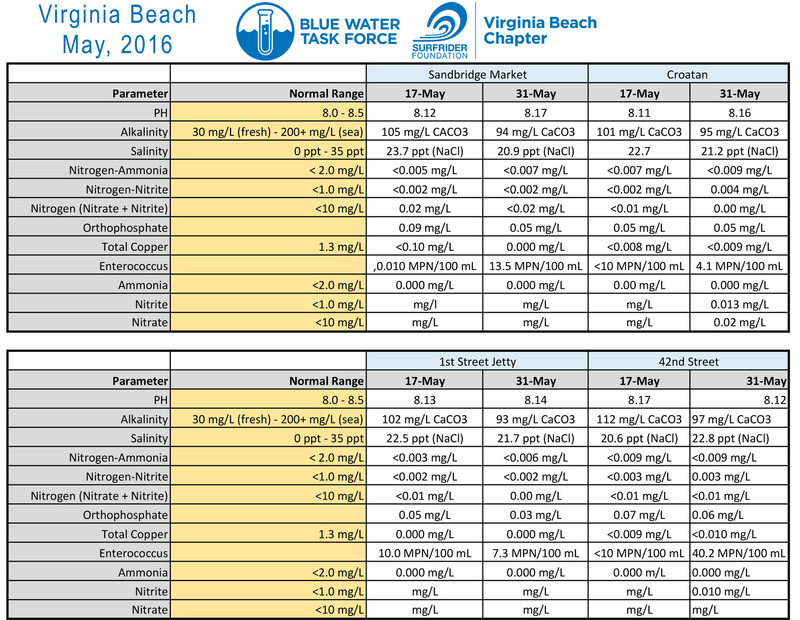 Click here to see our most recent water testing results. 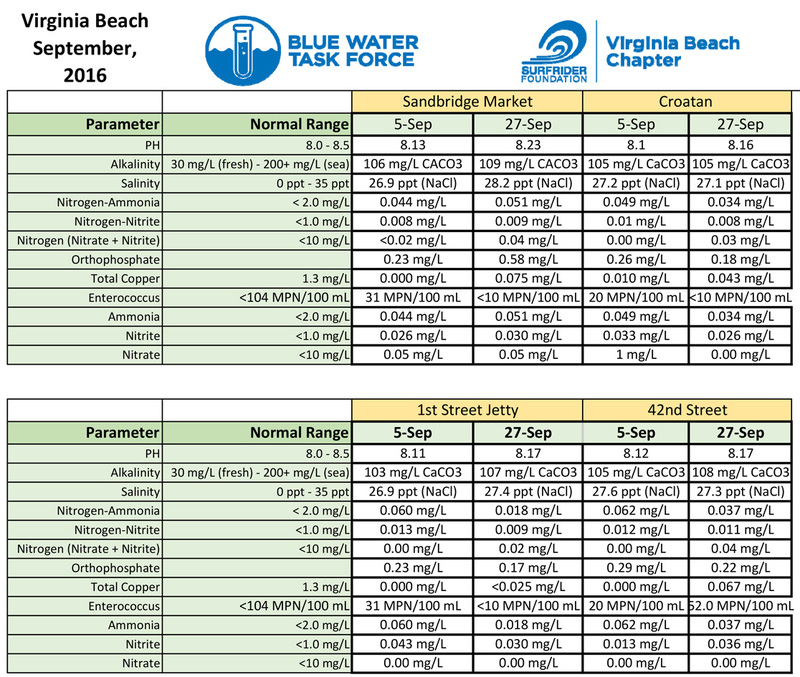 Click here to learn more about water quality parameters. 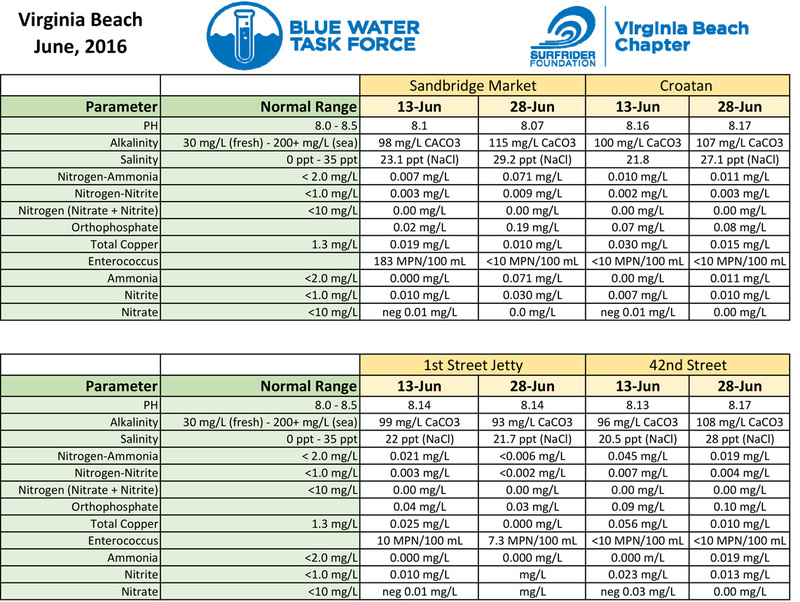 If you would like to volunteer to help collect samples, please contact Shannon at reinheimerj@gmail.com.